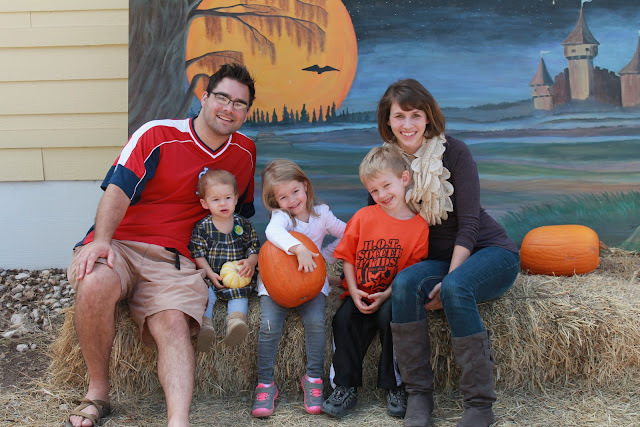 I love getting this halloween-ish picture with our family. I also love how we're "fall" from the waist up but all "summer" from the waist down. This is because Texas Fall weather typically offers temperatures in the 60s in the morning but 85 degrees by lunch time!! I didn't realize until we were done that Bennett had kept his sunglasses on. 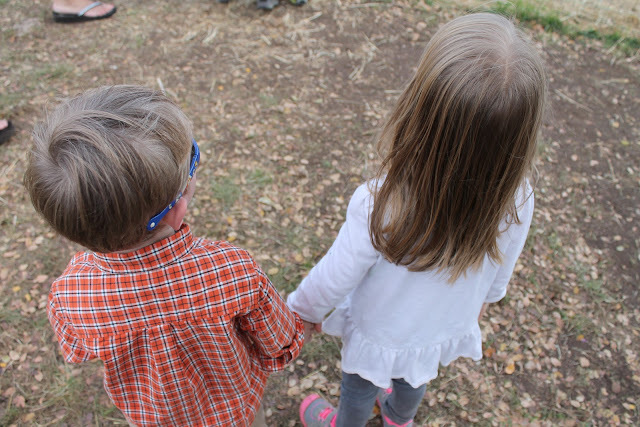 Our sweet blonde-haired blue-eyed boy's eyes are super sensitive to light - so it was either sunglasses on or eyes closed. Mabel, Lilli, Roy, Oliver and Bennett...Outside of our family photo, one of my favorite things about our visit to the pumpkin patch is getting a "kid" shot. 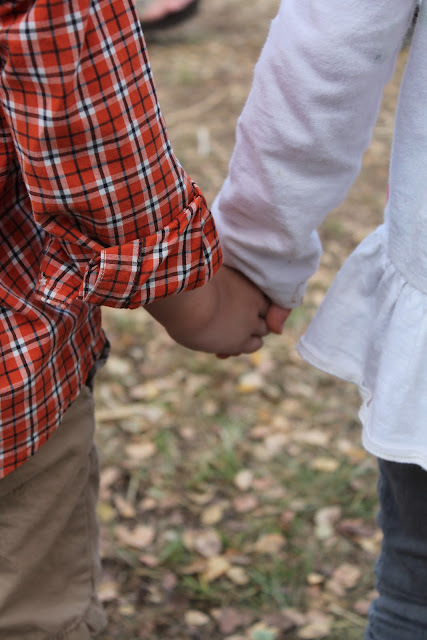 I cannot even believe how much these kids are growing. After we took our annual pictures, the kids wanted to do the kid maze. After running threw a few times, this once-complicated maze became nothing more than a sophisticated game of chase. Sweet friends, both will start Kindergartners next year. Yeah for Class of 2026!! Oliver insisted that they hold these dried ears of corn for the picture. Nice props, O. 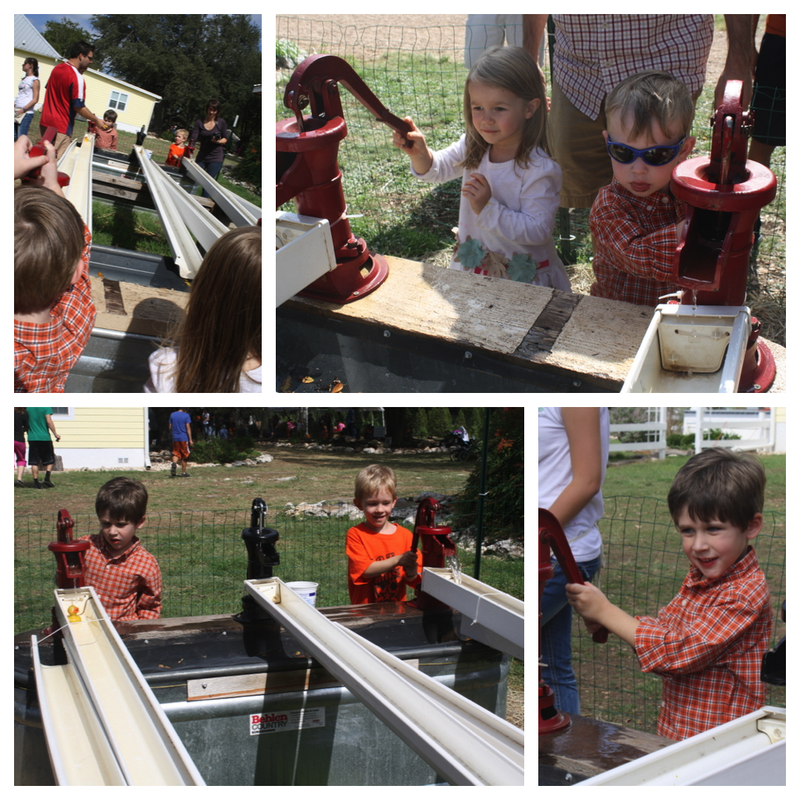 The kids enjoyed the Duck Races, as they do every year. However, it was nice that this year each kid could pump their own water to make the ducks swim down the gutter without much help from the dads. The boys taking a break with Josh. The kids really enjoyed feeding the goats. I love seeing them interact with animals. I was most thankful, however, for the Germ-X hand sanitizer provided afterwards. 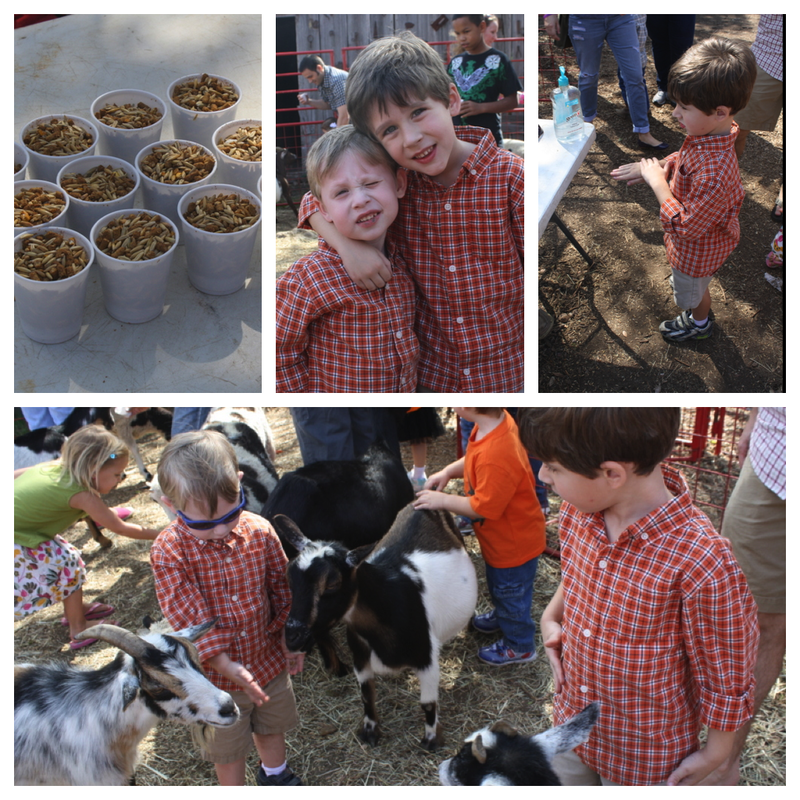 Oliver was so sweet feeding the goats. He has gain so much confidence in the last year. He makes me immensely proud. Bennett was super gentle with the goats. He found them to be a bit aggressive and scary at times. But, he held his own and was very brave the entire time, allowing them to eat right out of his hand. 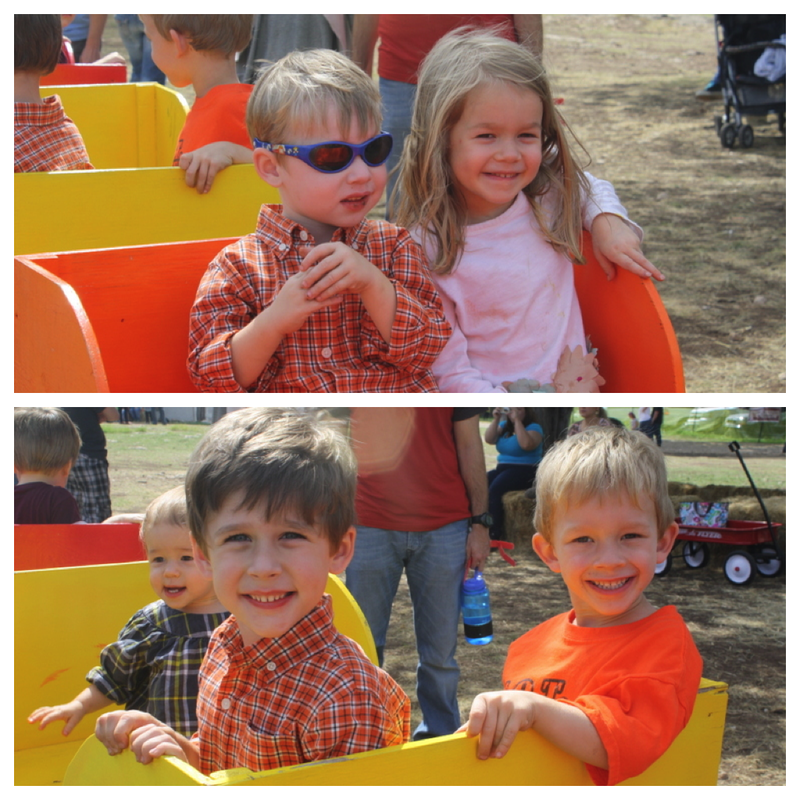 Riding the "train" is always a kids' favorite. (And when I say train, I mean little crates on wheels being pulled by a lawn mower.) Sixteen-month old little Mabel (in the background) was such a big girl sitting in the seat all on her own! We had such a great family day with friends at the Pumpkin Patch this year. I love my little pumpkins and enjoy getting to watch them grow each year. What little blessings they are!! So fun! We were there today (Sunday)! These are great pictures. How do you arrange them in a mosaic, like the duck races for example? Cara, great question! It's a free program called "Diptic." You can download on your computer as well as on your iphone. It makes posting lots of pictures super easy! What a fun family day! Loving that last picture of the boys! 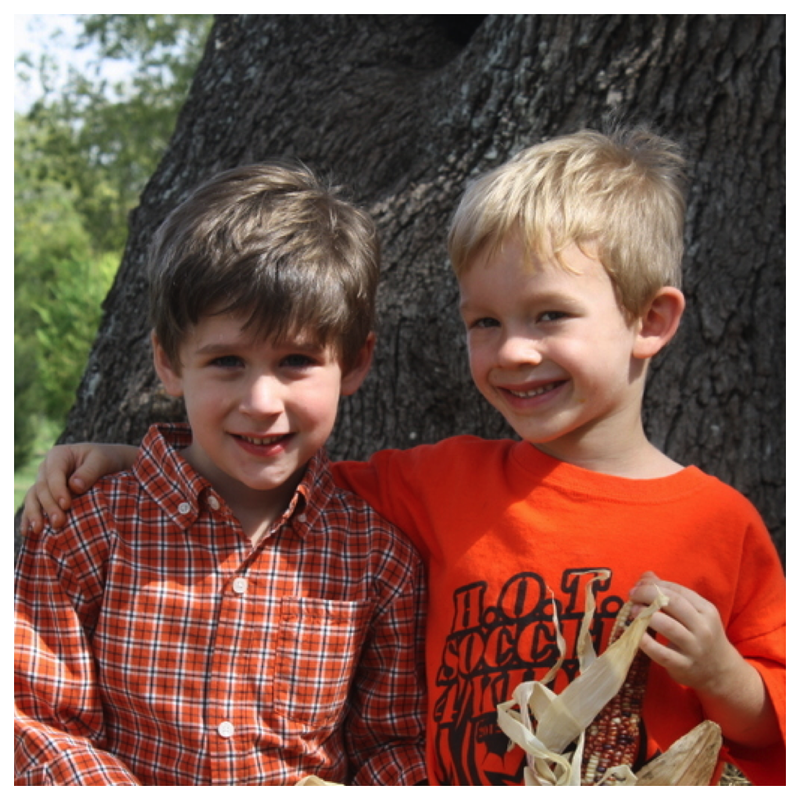 Love their fall shirts! Looks like a fun day for everyone! !